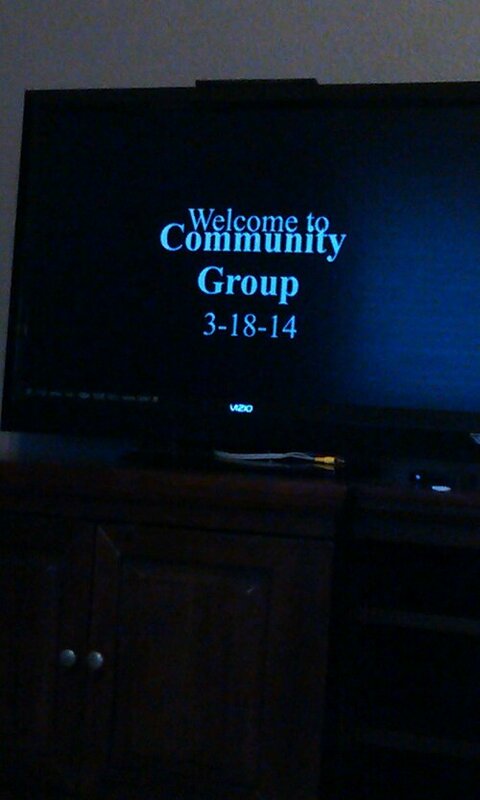 Last night at my Community Group our leader invited us to have an extended time of singing. We always sing two or three songs but last night we were challenged to stretch a bit and sing more. We did. We spent what felt like a half hour standing in a living room singing. And we didn’t sing softly. We sang loud. We lifted our hands. We shared Scripture. There was a sense of the Holy Spirit meeting us and drawing our attention to Christ. We encountered God personally. I can remember a time when such an activity would feel very strange. When I came back to following Jesus as a high school student I can remember singing in church as the hardest part of the service. Can’t we just get to the sermon? I felt vulnerable and open to God during the singing time that I learned later was actually very helpful. It took weeks before I could even get a few lines of a song out because I was afraid I’d lose it and get emotional. What I discovered with time was that I was created to sing and that when the truth of God’s grace is sung from a heart of faith back to God, He meets us in a mysterious way that builds our faith. I can’t quite explain all the reasons why it is…but I can confirm that it is. At the risk of sounding overly pragmatic, it just works. I think in the crazy busy, highly scheduled culture we live in we need to rekindle this ancient practice. We need to be filled up with hope. We need mercy. We need God. ← What Should I Think When I Hear the Word ‘Gospel’?